Jammu & Kashmir Government Cell deals with Implementation of Prime Ministers Special Scholarship Scheme (PMSSS) to Jammu & Kashmir Students to pursue undergraduate studies outside the State of Jammu and Kashmir. The Jammu & Kashmir Government cell is responsible for proper implementation of the scheme to fulfill the objectives of Prime Ministers Special Scholarship Scheme (PMSSS) to J&K Students. For further queries or complaints you can contact 0120-244-6701. Jammu & Kashmir Government issues the scholarships for all the eligible students belongs to SC, ST and OBC Categories. Jammu & Kashmir Students eligibility criteria is decided by the Government. Government of Jammu & Kashmir Reimbursements the Tuition Fee for students who wants to pursue Degree, Diploma, PG and Technical Program courses will be offered by the different schemes which are approved by the University/Board. It is one of the Prime Minister's Special Scholarship scheme for for J & K students. Jammu & Kashmir Government aimed for quality education for students of backward class welfare. Interested Students can opt scholarship by enrolling with any university, college and institute as prescribed by the Government . Before filling the form students must register their details in online & know the further information. Jammu & Kashmir students should score good marks in previous exams and annual income of student family should not exceed more than 6.0 lakh rupees. Correspondence education and short term courses are not eligible for the scholarships. Only Jammu & Kashmir students are eligible to apply the scholarships. 1)Student Photo, Aadhar card and student declaration form. 2)Previous marks card copies for Renewal as well as fresh candidates. 3)DOB certificate, Caste certificate with student fee receipts and parents income certificate. 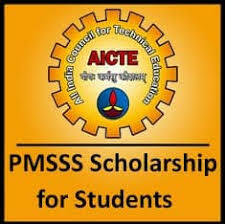 Students can verify the application number and status by logging into aicte-jk-scholarship-gov.in or PMSSS website. Jammu & Kashmir Students have to visit PMSSS website for applying scholarships. Please go through the information and click on students login button. Enter the required information, upload all necessary scanned documents and submit the application. Save your registration ID, other details and take the printout for further use.